Unless you live in a major city with a large airline hub, you will have to make connections in order to get from point A to point B. Whenever there’s a connection, there’s always that chance you could miss your flight. Below are 15 tips on how to avoid missed connections and what you can do if the worst happens. The best way to make a smooth connection is to book nonstop flights or flights that stop but continue on without changing planes. No matter how it's done, direct is always the best route. Some travelers book flights on two separate airlines to get lower fares. Resist the temptation, because if the first carrier has a delay and cancellation, your connection could be ruined -- and it could cost you a lot more in the end. Some hubs are better than others. According to the U.S. Department of Transportation's Bureau of Transportation Statistics, the ones with the most delays include Philadelphia International, Dallas/Fort Worth International,​ Boston Logan International, JFK, George Bush Intercontinental, Denver International, LaGuardia, Chicago O'Hare, Newark-Liberty International, and ​San Francisco International. It takes only one disaster--weather or a mechanical issue, for example--to cause a flight delay or cancellation. And no matter what the cause, if you miss that last flight of the day, you will probably be staying at your location overnight. When you're in a rush, every second counts. When booking your flight, choose a seat in the front part of the plane, and make sure it's an aisle seat so you can make a quick getaway if necessary. If a seat isn't available online, try asking the gate agent to make a seat change. These days, anyone can print a boarding pass in the comfort of their home. Airlines also make it easy to download a mobile boarding pass on a smartphone. So why waste time at the airport checking in via skycaps, kiosks, or ticketing agents? Plus, if you need to make changes, it’s less crowded at customer service counters or gates past airport security. When booking a connecting flight, make sure not to cut it too close between flights. For example, leaving only a half hour between connections is not a good idea. 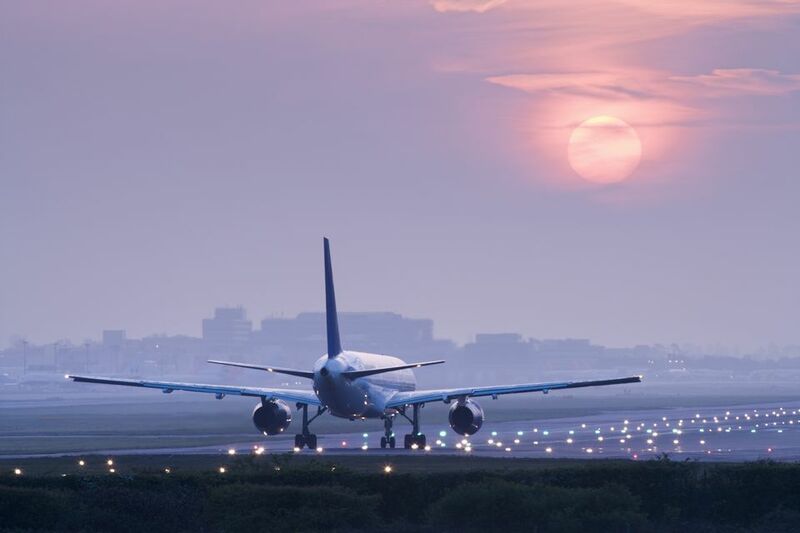 Flights often take off late, or you may find yourself landing at a large airport where you have to change terminals. So when booking a flight, make sure you have at least an hour to connect on domestic flights and two hours for international ones. There are some connections that actually force you to leave security and recheck in at another terminal. If you’ve checked luggage, it means that you will be wasting precious minutes waiting for your bags and rechecking them. In addition, it can be harder for airlines to accommodate a passenger since they may not be able to guarantee that their luggage will arrive at the same time. Make sure your travel app has an airport map function. A great airport app is GateGuru, which covers all the major U.S. airports. Airport maps can come in handy in case you have to run to catch your next flight. Have documents like passports and boarding passes easily accessible. You don't want to waste precious minutes during a tight connection looking for your boarding documents. From the time you board a flight to the time you deplane, the gate to your next flight may have changed. If the flight attendants don't do a gate check announcement upon landing, go to the nearest flight monitor display to ensure that you end up at the right gate. If you know your flight connection will be tight, ask for help from the flight attendant. They may be able to move you up or help clear the aisles if you have to make that run. Let's say you have missed your connection and it was the last flight of the day. If the delay was due to something outside of the airline's control, they don't have to pay for a hotel. You're booked for a very early flight, so you have two choices: Pay for a hotel at or very near the airport, or sleep at the airport. If you find yourself in a situation, make sure to visit the closest ticket counter to speak with an agent. Explaining your predicament in person is very beneficial. You may even get some perks like a seat toward the front of the plane, which can save precious minutes. Most airlines, along with services like FlightView, have text message services that give you flight status alerts. A bonus with this is if you are running late, they have the ability to automatically rebook you on a later flight. If you choose not to use the text service, at least make sure you have your airline on speed dial to call them in case the worst happens.